Spring is in the air and it’s time to enjoy some summer projects, no? 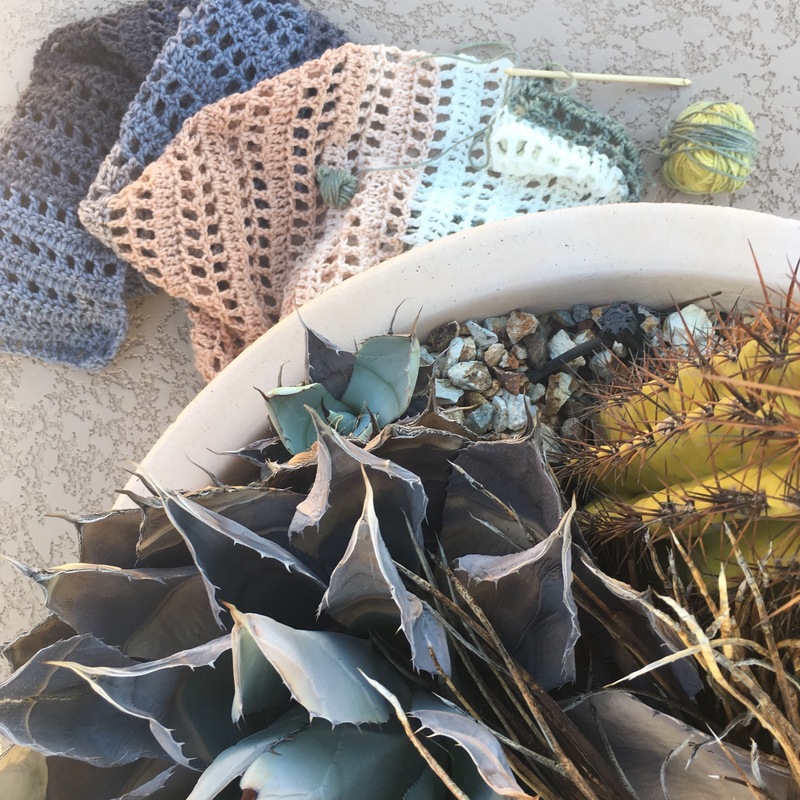 On a recent trip to visit my parents in Arizona, I was in the mood to work on a warm weather pattern with some fun colors. 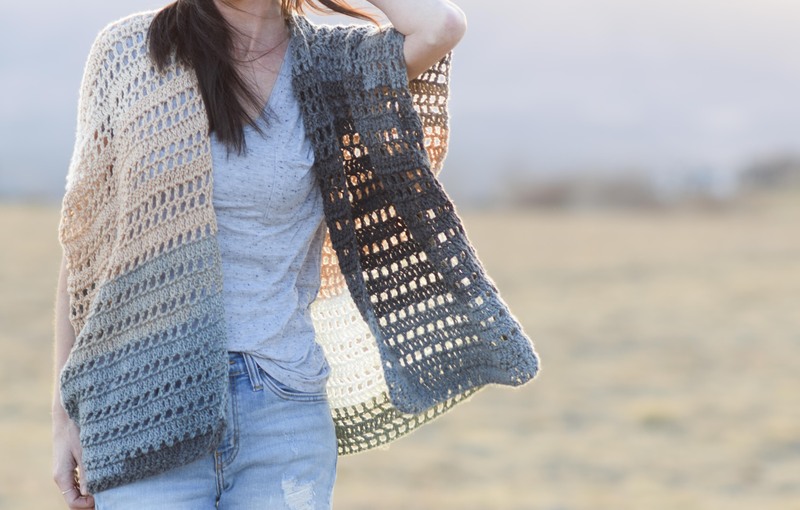 This easy summer crocheted kimono will be perfect as the weather heats up. It was a fairly quick, mindless project to work on next to the pool so hopefully you’ll enjoy it. I’m just loving these colors together! There is a vibrant yellow that is part of the skein which I actually omitted for my kimono. It was a bit bright for my taste, but my mom loved it and thought I should use it. Feel free to do as you wish with the colors. You can see how I just wound up the yellow section in order to save it for a future project. 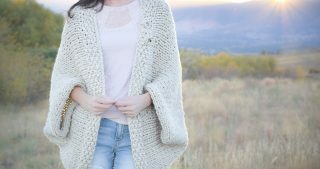 This kimono is made up of mostly double crochet stitches. 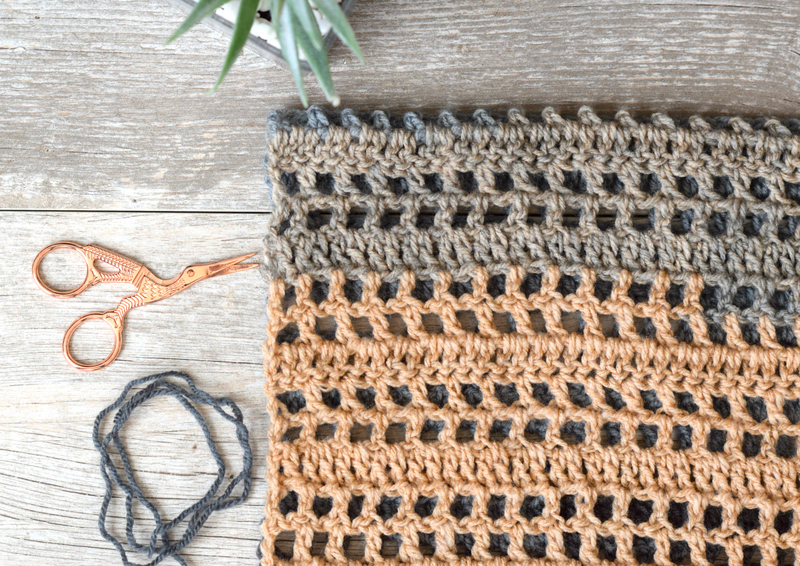 If you know how to double crochet and make chain stitches, you should be good to go! I also did a section of crossed double crochet stitches along the bottom that could be a little tricky if you’ve never done it. 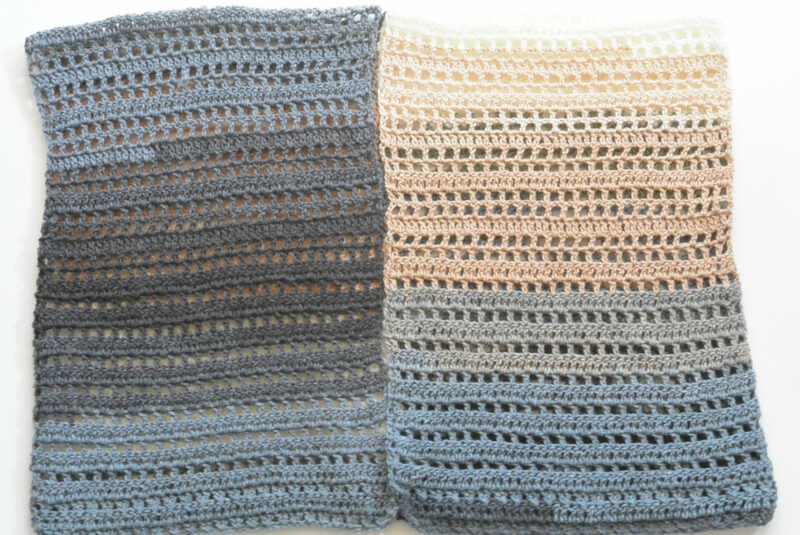 However, you can simply double crochet across those rows if you’d prefer and it won’t make much of a difference at all. So, are you ready to get started? 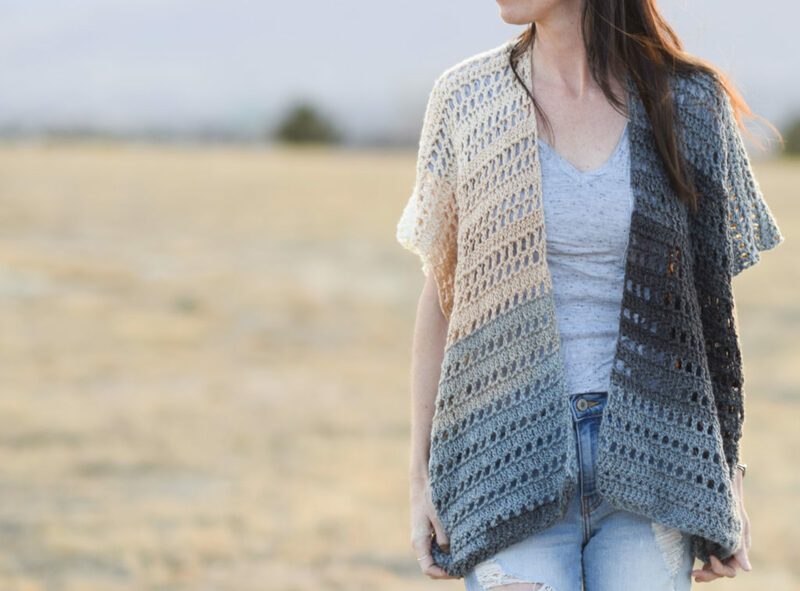 Here we gooooo…..
Pattern Description: An easy, breezy kimono that’s perfect for the warm days of spring and summer. A beautiful way to cover up on the beach or simply wear around town with a tank! XS/S NOTE: I am pictured wearing the kimono in a size XS/S. I’m about 5’6″ and 105lbs. Please note that it’s simple to add more length if needed by crocheting for more rows on each rectangle. crossed dc (crossed double crochet) – *skip stitch, work dc in next st, work dc in skipped stitch. Repeat from * across. 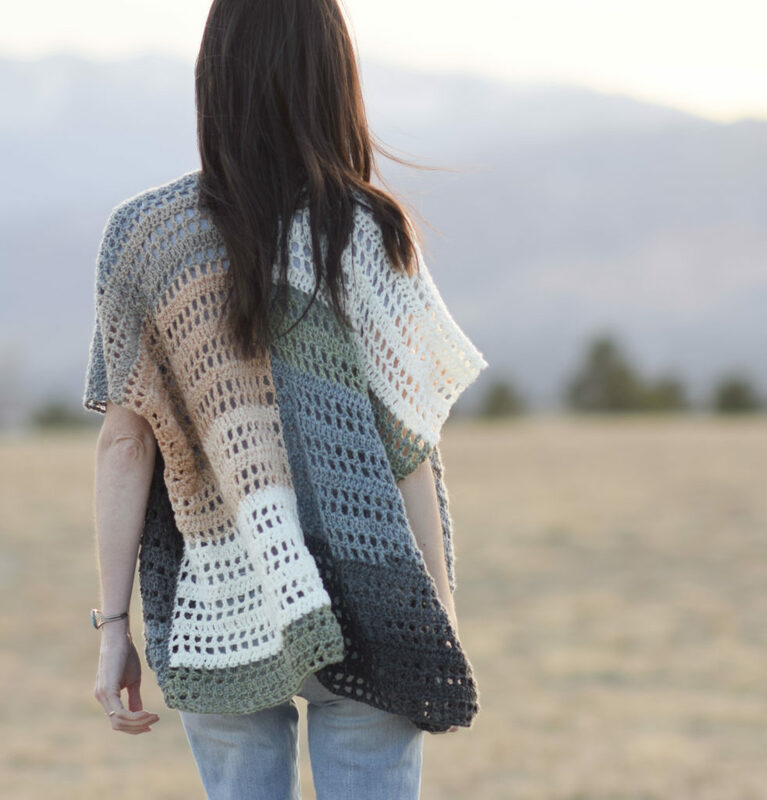 This kimono is made by crocheting two rectangles and then seaming up the center back and up the sides. Each of the two rectangles should measure approximately (XS/S 14” X 44”, M/L 16” X 52”). See assembly instructions on how to seam the rectangles together. 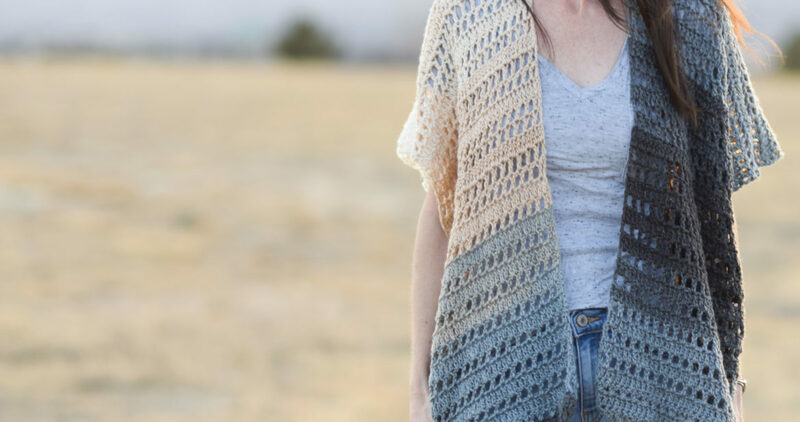 The bottom of the kimono features rows of crossed double crochet stitches. 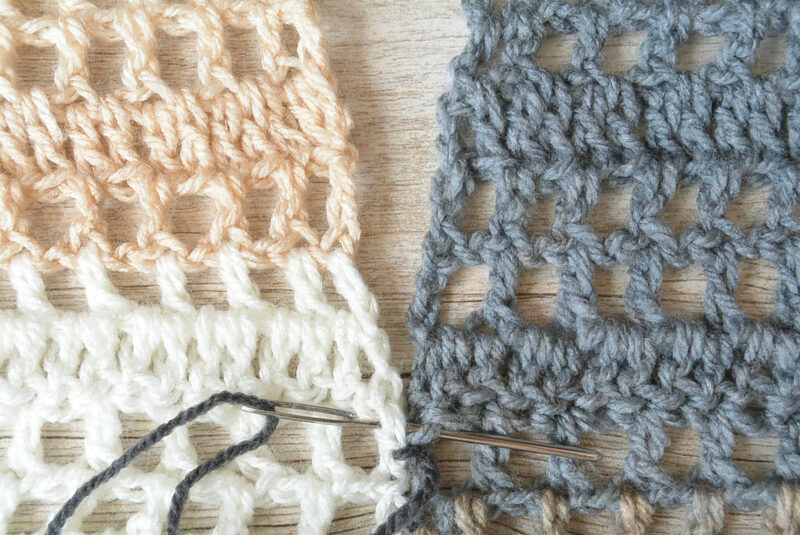 If you find this to be too difficult, you can simple double crochet across the rows in this portion of the pattern. Important! 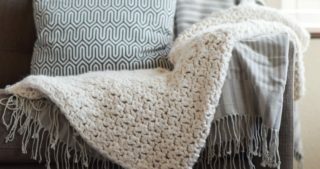 You may make this piece longer by simply repeating the stitch pattern and adding more rows and length to each rectangle. Measure yourself to ensure proper sizing. Row 19 Ch 4 (counts as stitch and ch 1), turn, sk st, dc in next st (this is also the 3rd stitch inward of the foundation row), *ch 1, sk st below, dc in next st. Repeat from * across to end making final dc into turn ch of previous row. Repeat rows 19-21 until piece measures approximately (44”, 52”) Tie off and weave in ends. NOTE: PLEASE CHECK THAT LENGTH, WHEN FOLDED IN HALF WILL WORK FOR THE SIZE THAT YOU WANT. 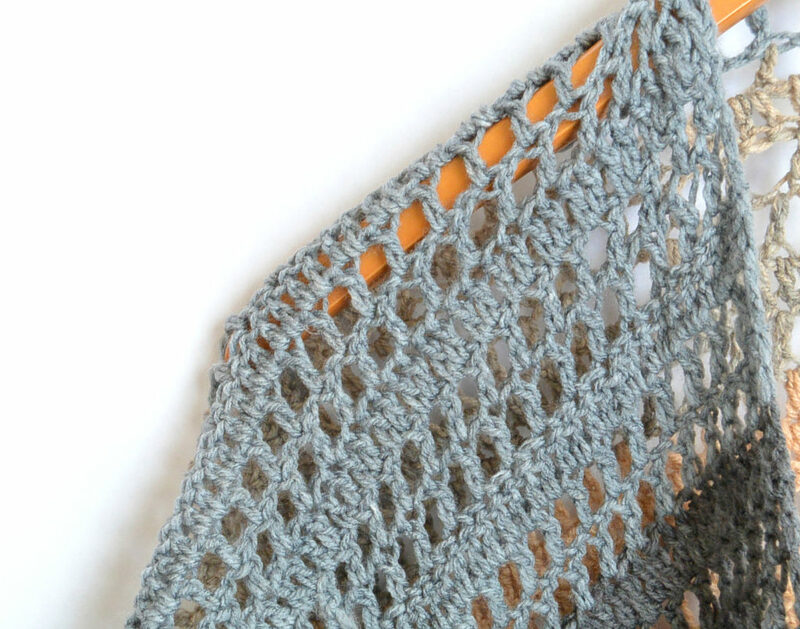 SIMPLY REPEAT THE STITCH PATTERN FOR AS LONG AS YOU’D LIKE TO REACH DESIRED LENGTH. Repeat pattern above to make second rectangle. Place both rectangles side by side, long sides together. With your tapestry needle and length of yarn, seam from the bottom up with a simple whip stitch seam until you reach the center. Tie off and weave in ends. Fold rectangles in half and seam up each side, leaving approximately 9-10” for the arm openings. Tie off and weave in ends. What color would you make yours? I hope you enjoyed this pattern my friends! ….and you are adding to my list once again!!! LOL Looks like another great pattern, Jessica! I can’t wait to make one…or two. 🙂 Thank you!! Haha! Thanks Diane! We all have a list a mile long with projects we want to do….hehe! No worries….So glad you like this and thanks as always for all your support and kind words my friend! So pretty! I love the Mandala yarn. I just saw Lion Brand has Mandala for Baby! I might just have to get some! Thanks Mary! Yeah, it’s awesome yarn! Thanks for stopping by! Love!!! Your generous heart and BEAUTIFUL talent! Love it!!! I have a couple of Mandala skeins that I was saving for a project just such as this!!! My color will be Genie. Thanks!! Just beautiful!! Thank you so much – I love it!. My list is also getting longer and longer which means my pattern files are getting more and more. Just such a pity that the LionBrand Mandala or any other LionBrand wool is not available in South Africa. I did order some at the end of January 2018 but still waiting for delivery but I am sure than problem is with the South African postal service. I am so excited and cant wait. Once received I am going to have a difficult to decision what to make and what not to make with my Mandala wool. What a stunning piece of work! However, I have a question on something I don’t understand. I read the pattern through and looked at the pictures but still confused about when you say to do the next stitch “below.” It doesn’t mean simply in the next stitch? Thanks for any clarification that might help me! Then I can’t wait to get started!! are your number of stitches correct per row? I just love this and would like to make it for myself…Any tips on making one plus size? Or do you think you will be releasing a plus pattern? Thanks for any help!!! 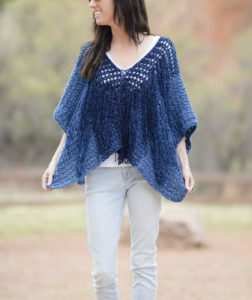 I love the summer kimono crochet pattern & the color you chose to make the kimono. I have one small problem, I don’t crochet. 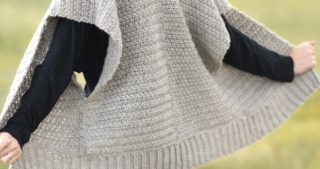 Could you please design a pattern similar to this in knit, or do you already have one designed & I have over looked the pattern. 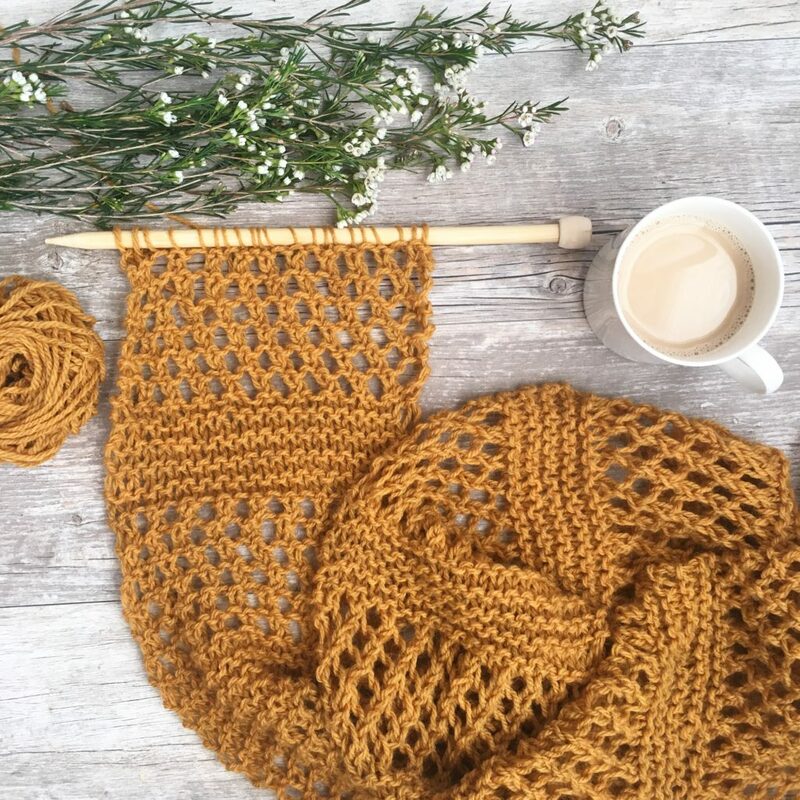 I really do love looking at your crochet patterns. Thanks for the suggestion! Occasionally I make knit versions of my crochet patterns. I’ll keep it in mind! I’m a little confused. You start with the Crossed Double Crochet and then the Single Mesh Rows but don’t repeat them at the end? So the back (or front) has Crossed Double Crochet but the other side doesn’t? Right Andrea…only the beginning has the crossed double crochet stitches. It’s just a feature for the front of the top. Thanks for the pattern! I’m having trouble keeping my stitch count to 50 each row. Sometimes it goes to 48 or 49 which drives me crazy. Any tips? This pattern is beautiful!!! Do you have any recommendations on how to accommodate the pattern for plus size women? Thank you!!! I love it!! 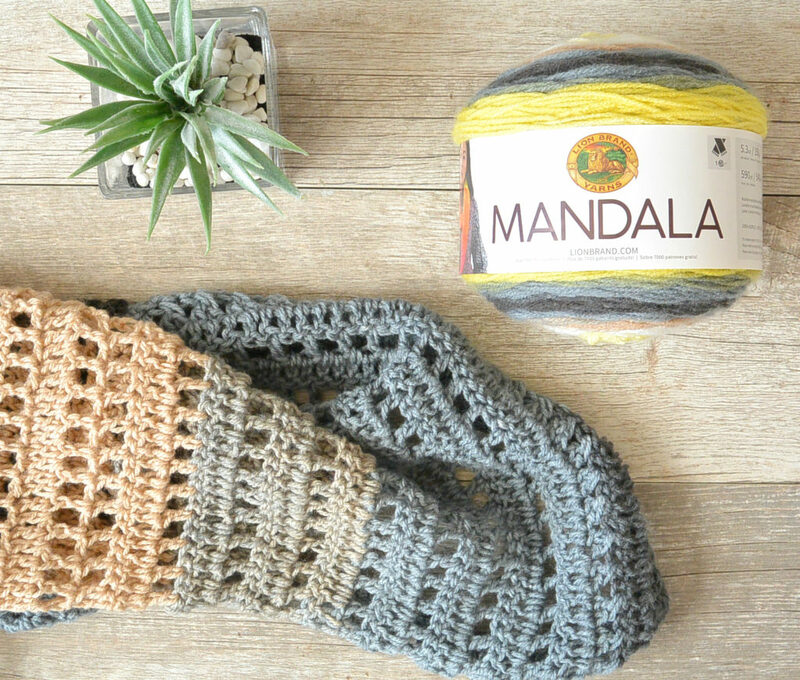 I’m using Mandala now for LBs Dawn to Dusk and I love working with it. I’m definitely grabbing 2 for the Kimono! Perfect for Spring. actually, i think its Jess’s pattern? Make and Do Crew. It’s really nice the way the colors change with Mandala – and it gives you great stitch detail. I love this project. Thank you so much for the design. I am, however, having difficulty with row 5. Row 4 is supposed to have 50 stitches, but that doesn’t seem to work for the mesh row. Help! Lovely pattern! Thank you for this an all the free patterns you share. How very pretty! I love how it flows and the gradient yarn is lovely. Thanks for sharing. Just a silly question, but I am confused…in the assembly directions I am to whip stitch only half way up…got it…then I am supposed to fold the rectangles in half…now I am confused! Am I folding down? the outsides to the inside? Agh! Help! This is my first attempt at a sweater/kimono, so Please don’t think harshly of me! So far it is beautiful! Thank you for the lovely pattern! No worries Cyn! Do you see the photo where it’s laying flat on the floor? This might help you visualize. First, you need to seam up the back (halfway). Then yes, you fold down the sides as pictured. Then seam up each side leaving holes for the arms. I’m so glad the pattern has worked out for you and let me know if I can clarify further! I’m still so confused on the assembly. I’ve sewn the rectangles on the back halfway up. I’m not understanding folding the rectangles in half and sewing the sides. I’m looking at the pictures and it’s not helping. I’m sorry. Do I fold the rectangles towards the center or downwards ? I really want to finish this project! 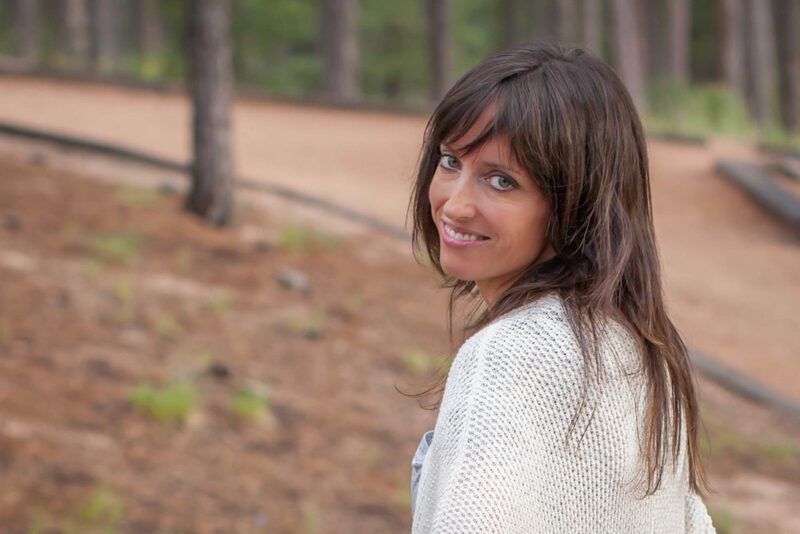 Hi Maria – I’m happy to try and help! So the seam up the center is the back. Picture then that the front half of the panels are the front. You need to fold them downward, in half and seam up the sides, leaving openings for the arms. Hope this helps! I am really struggling with this pattern and I’m not sure why. I can’t seem to keep my stitch count at 51 without fiddling with it a ton. Any advice from anyone? Did you do any edging around the garment? I didn’t, but you certainly can if you want! My kimono seems to be working out to be a trapezoid shape. Is there a video to help? Oh no! That’s not good! It’s usually the last stitches of the rows that can trip folks up. So sorry but I don’t have a video for this one. Could you please clarify by what you mean with the term below. It has greatly confused me and I can’t figure out what it means. Please help, I would be very grateful. I figured it out, Kristen!!! She meant just skip a stitch. I researched her tutorial on simple mesh and it finally clicked! Back in track now and hope you are too!! Hi Jessica…I just finished my Barcelona Summer Crocheted Kimino. Wow! What a wonderful pattern! I am a plus size so I added 14 stitches to make the rectangulars wider thus chaining 80 chains. I also bought 4 skeins in Mandala in Harpy. It turned out perfectly & I received compliments as soon I left home for the morning! Thanks so much, Jessica! Hi Karen! This is so awesome to hear! And congrats on modifying it just for you! What a thrill that you got compliments too. Thanks so much for letting me know, and you’re welcome of course! This is just what I was looking for to use some of my Mandala stash. I bought several colors when LionBrand first introduced this and I’m still drooling over it every time I open my yarn closet. So this pattern looked perfect for what I had in mind. 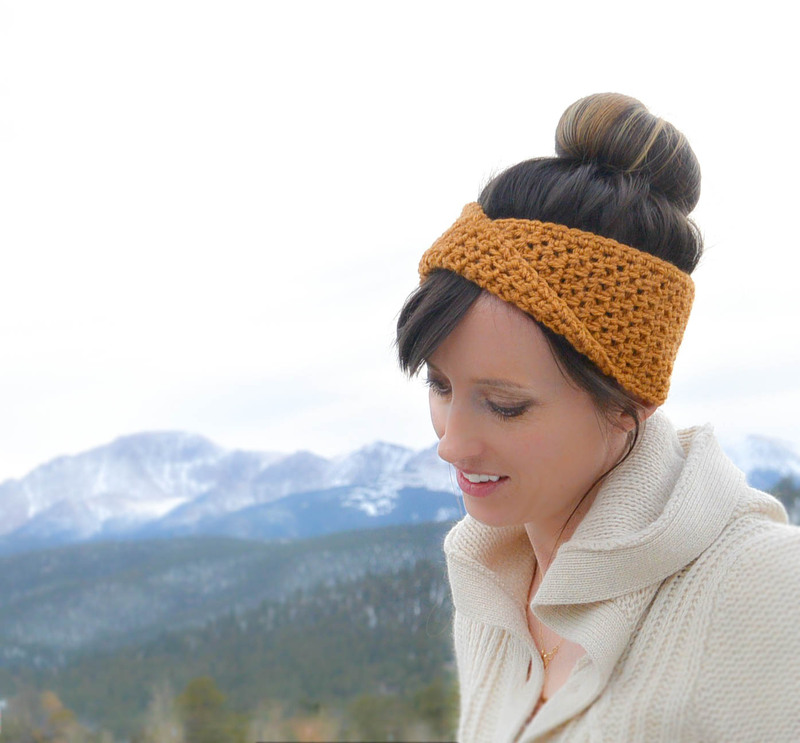 No complicated shaping and easy stitches. My question is… I’m a size XXL. I read how to make this pattern longer but need it wider also. Can you help? Would using a larger hook help? Thank you I love this pattern and it works up so pretty.